I’ve gone through most of the high-rated (according to Urbanspoon) fancy restaurants in the CBD. I’m not a fan of parking in the northern half of the city, so I’ve started on Unley Road now, at La Tombola. 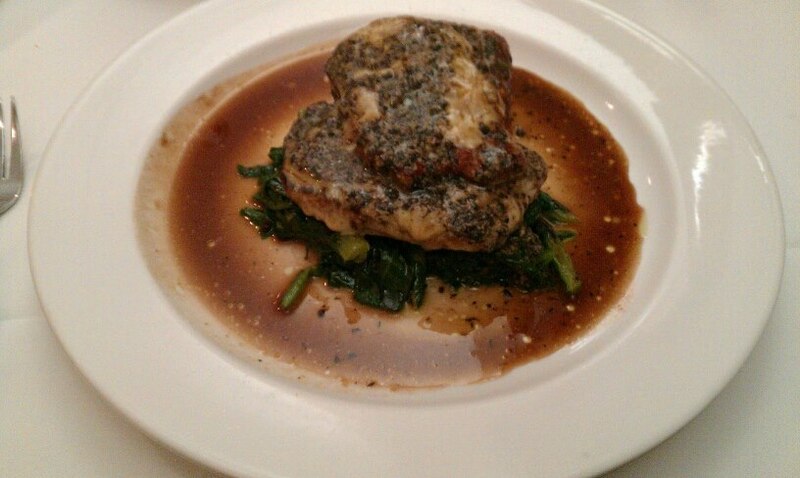 With melted provolone cheese and a truffle sauce, with roasted potato stack and baby spinach. This was good comfort food. Cheese on meat isn’t usually very classy or healthy, but here it was at least tasty. The veal was nicely cooked, and the potato stack and spinach were equally properly done. The truffle sauce was slightly superfluous here, but overall a pleasant dish. That sounded interesting, but was fairly plain. 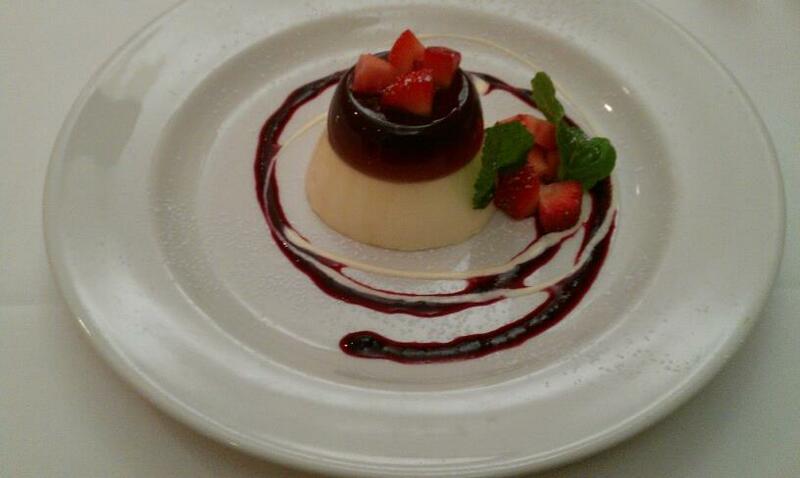 It was a waste of my weekly panna cotta quota. The port wine panna cotta was more like a jelly, and its slight taste added a little to the fairly ordinary panna cotta underneath, which I completely forgot was supposed to be orange-flavoured. The marinated strawberries were possibly less sour, and softer than regular strawberries, but I struggled to detect anything more that would differentiate them from their non-marinated brethren.